Please try to attend this workshop put on by the Airport Authority. This is a good time to see what is being proposed and voice your opinion, for or against. AND… unfortunately the following meeting should be tough for most working people to attend. Very crafty of the Airport Authority to schedule the one meeting that people can address them directly at 9 a.m, on a weekday. I’ll be there. Thanks to ryanlerch for the clip art. UPDATED for typos and further clarity on May 25th. The most important thing to remember about the proposed replacement terminal is that it is going to happen whether you want it or not. Period. Burbankers who have railed against the airport for years must resign themselves to this new normal. And there will be an increase of the number of flights after the FAA implements NextGen over the next few decades whether a new terminal is built or not. 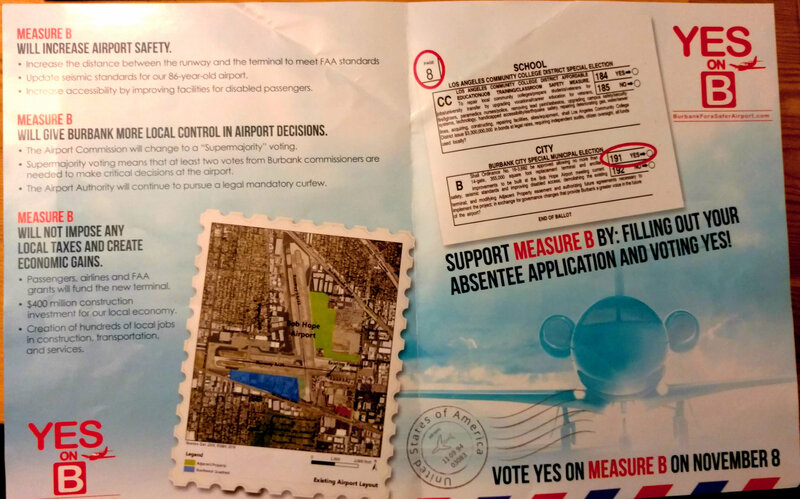 Measure B is a yes or no vote for a new terminal. 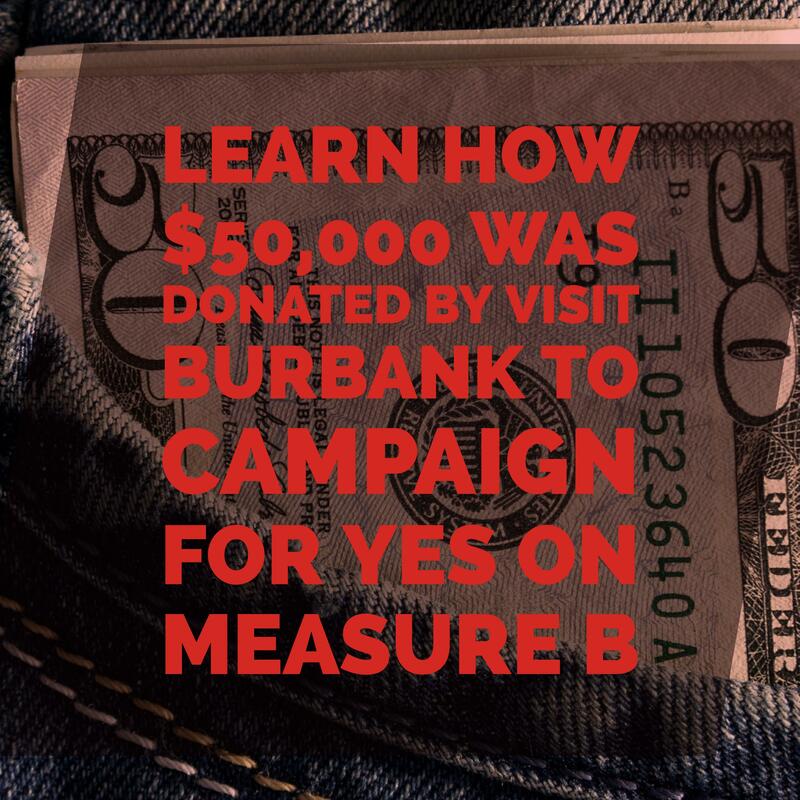 But the Authority is threatening to go ahead with option 3 below if Measure B is defeated. The authority wants as many voters as possible to weigh in on this and sees the expected high turnout on November 8th as a plus. If the airport makes good on their word, you’re not really going to vote on whether there will be a replacement terminal but WHICH replacement terminal. So let’s take a look at the 4 different proposals and why they exist. The Adjacent Terminal – This is the Airport Authority’s preferred choice. This will move the airport farther north and the entrance will be at Hollywood Way and Winona. Currently the entrance is at Hollywood Way and Thornton. As proposed the terminal will only have 14 gates but a much larger footprint overall. There will be more shops and restaurants and many of the transportation options seem well thought out. It will be a much “greener” facility and meet current seismic standards which the current terminal does not. 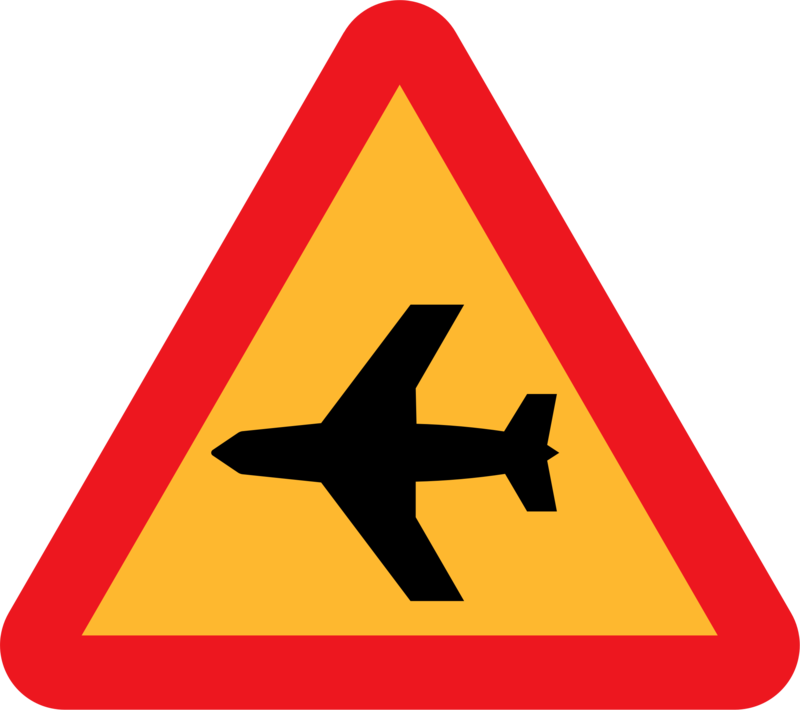 Passengers will still embark and disembark from the tarmac. There are many, many other details to review. The main point the Authority reps kept hammering is that the current terminal is too close to the runway and is not up to current FAA guidelines. The SWQ Alternative – This “backup” option would be chosen if there is some unforeseen issue with the adjacent terminal site. So if construction begins and toxic waste, a native american burial ground or nuclear material is discovered on-site, then construction could move to the Southwest quadrant of the property. This is a bit west of Pierce Brothers Valhalla Memorial Park and entrances would remain on Empire Ave and Thornton Ave as they are now. The SWQ Same-Size Alternative Terminal – This one’s important to pay attention to. If voters do not approve Measure B in November this is the terminal that could very well go through. Once the Measure B vote occurs, all bets seem to be off and the Authority can go ahead and build this version of the terminal, expand the number of gates, buy land, end the voluntary curfew etc. It’s roughly the same size as the existing terminal but as above, would be located a bit west of Pierce Brothers Valhalla Memorial Park and entrances would remain on Empire Ave and Thornton Ave as they are now. The Do Nothing Option – Not sure if the authority even wants to talk about this as a possible outcome. I would assume this would mean more lawyers and a renewed drain on the cities’ resources as the legal battles between the Authority and the City would get a reset. Many of your questions have been addressed here but he Airport Authority still wants to hear from you. Semichorus thinks I’ve been hoodwinked. I’d be relieved if he’s right. I replied to the post there so take a look. As always: What’s your viewpoint? Please comment and share this with your fellow Burbankers. Thursday May 19th 6:00 pm – 8:00 pm at the Burbank Community Services Bldg. Thanks to Shinnoske for the airport clip art. The Draft Environmental Impact Report (DEIR) has been released by the airport commission. If you have comments related to the DEIR you can submit them directly to the authority here. The deadline for public comments is June 13th. Keep in mind you should read the DEIR before commenting. People are entitled to their opinions but informed opinions carry much more weight. As always the city’s official site can be found here. May 19th (tentative) Time TBD at the Burbank Community Services Bldg. Thanks to tsaoja for the airport clip art. Here’s the city’s new webpage dedicated to the new terminal project. It’s packed with information in a giant data dump. Not sure how many months it will take the average citizen to go through all this and it already seems a bit outdated. We’ll try and digest all this and present you some perspective on the issue as we approach the November election.